I was excited to learn Donna Freedman has released Your Playbook for Tough Times, Vol. 2: Needs and Wants Edition. I reviewed Vol. 1 and it was full of actionable tips. Donna Freedman is an award winning personal finance expert who has lived through hard financial times herself. I’ve been reading and taking notes from her money tips since she wrote for MSN Money when she was attending college, raising a child as a single mom and working multiple jobs to support herself. These days, she writes for various sites such as publications, including Vox Media, Get Rich Slowly (staff writer), Daily Worth, Experian, Money Talks News (staff writer), GO Banking Rates, the Experian blog, Women & Co. (CitiBank), CardRatings.com and Wise Bread. You will also find her running an online course, “Write A Blog People Will Read” (WriteABlogPeopleWillRead.com), and at Surviving and Thriving (www.donnafreedman.com). Neither of the above, but want to fulfill a dream: If you want retire at 35 but don’t see a way to realize that goal with your current savings or the money you are making, or want to be a stay at home parent but feel you can’t afford it. So if you are trying to get prepared for emergencies, but can’t seem to find room in your budget for supplies, this book is for you. What makes this book different from other personal finance books? The tips given are not just repetition of stuff you’ve read before (such as “Give up the daily latte habit,” or “Clip coupons”); she gives actual sites and resources that will help you save money, get financial assistance or troubleshoot your way out of a bind. For example, I live in Texas but was not aware of the “Teach for Texas” (education) loan repayment assistance program. We all have our own individual needs and wants. 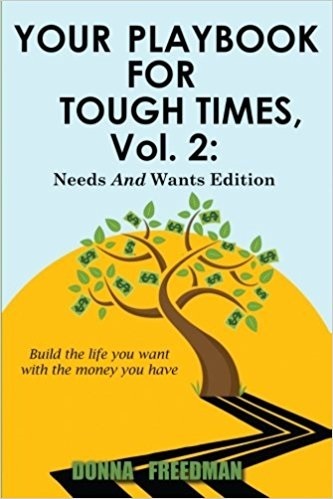 The book illustrates ways to to take care of those needs, and find a way to achieve the wants as well. It may not be the way you imagined, but the author shows you a lot of options on to make it work within the finances that you have. Donna Freedman also makes you feel saving money can be fun. I highly recommend this book. Before you even finish reading it, I know you will find something that you can instantly use to save money. 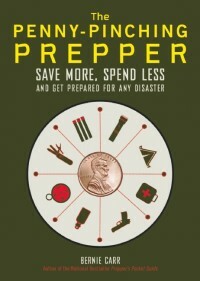 Discount for Apartment Prepper Readers! 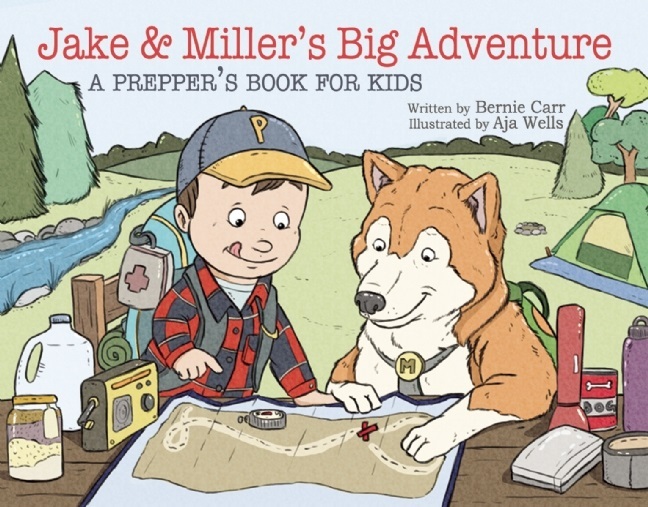 You can get the e-version of the new book for $5 (instead of $7.99), available now, until the end of the day July 4.
and use the discount code PREPPER to get the special price. The book also includes a discount code for Vol. 1, Your Playbook For Tough Times: Living Large On Small Change, For The Short Term Or The Long Haul. You will find it within one of the chapters. Thanks for the shout-out, ma’am. I appreciate you stopping by Donna!